A few weeks ago I was buzzing around online, seeing what everyone was up to and I ended up drooling over all my favorite designer friends' Zazzle shops. Have you heard about this? You can upload your own artwork and they will print it on all sorts of surfaces, from shoes to bumper stickers. I think Heather got the ball rolling but before you knew it Tula, Melissa and Bari had their own cool shops too. So, since I succumb to peer pressure easily (and apparently I don't have anything better to occupy my time), I went ahead and started designing some shoes. I bought myself a pair of Hive lo-tops (cause I wanted to check out the goods before blabbing on about 'em) and OH EM GEEE they are so friggin' cool! I seriously have not stopped wearing these since the day they came in the mail!!! I *heart* everything about them down to the hot pink topstitching throughout, which of course matches the hot pink laces and the little hot pink tab in the back. heeheee, I'm such a girl! You can get your own pair here. And if bees don't strike your fancy, no worries. I also have fishies, birdies, flowers and all sorts of other fun motifs to choose from. So what else is buzzing around here, you ask? Well, in case you've missed my tweets and FaceBook posts today, you really need to head on over to Sew Retro's blog, like NOW, because she is having an awesome giveaway in celebration of her brand new self-titled book. 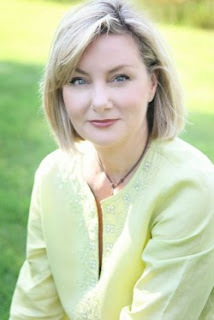 She has posted an interview with Kathy Miller (everything you ever wanted to know but were afraid to ask!) 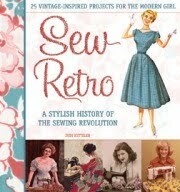 and is giving away a signed copy of her new book, Sew Retro, and 5 (count them... FIVE) yards of any Michael Miller fabric you choose! To enter to win this awesome giveaway, click HERE and leave a comment. Pick your favorite fabric (I know that's hard to do, but that's part of the game) and while you're at it give Judy Ketteler a shout out for the gorgeous book. I know after reading the above, my little teeny giveaway will pale in comparison, but just in case you're feeling lucky, don't forget there's still time to enter your name to win a fat bag of knits scraps. Leave a comment and I'll pick some winners in a couple of days. So what's buzzing in your neck of the woods? OM EM GEEE is right! I LURVE them! I'm heading over the site right now! I love your flower pics. Thanks for the heads up about the other giveaway, and a bag of knit scraps sounds great to me! Fantastic new shoes and thank you for sharing that site, what an amazing place to make one-of-kind gifts, too. oh they are so cute! Thanks for the tip on the other giveaway, its so fun to get to know the creators of things that I drool over! Ok you've got me...I'm going to have to have a pair of these to wear to The Creative Connection! And I too can't wait for Autumn! Oh love the shoes! Are you gonna add the shoe business to all the other things you do??! I'd love to be entered in your giveaway! my girls went bonkers over those shoes! what an awesome product! This shoes are awesome!! Love them I'm going to check the website ;P.
But I like sewing stuff for the kids' winter wear. I guess because I fell like living in northern Illinois it gets a lot of use. Your flower pics are gorgeous!! :) I love the red/yellow one...btw,loving your knits!! :) And congrats on your new assistants! I can only imagine now what you will have time for...more eyes, more ideas! good times for sure! !